Want to find out all about what volunteering at SANCCOB involves? Join us this Saturday, 2 June, for a Volunteer Open Day at our Table View Centre, from 8 am to 1 pm. 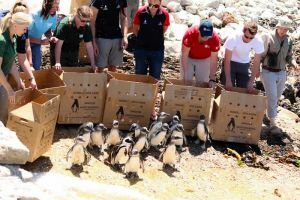 We need volunteer drivers and extra pairs of hands to help us care for and rehabilitate rescued African penguins and other seabirds at our facility. If you want first-hand experience of how you can play a role, then bring your watchful eye and can-do attitude and we’ll make a fine volunteer out of you! For more information, please contact Martine at volunteers@sanccob.co.za or just turn up on Saturday.